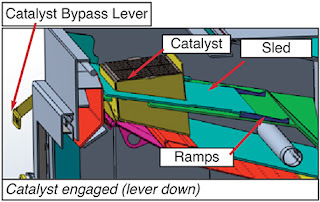 The catalyst is mounted on the bypass damper (the “sled”). 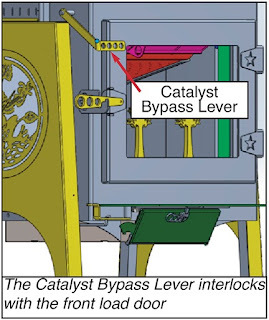 When the catalyst is engaged (bypass lever down), the sled is right under the cooktop, in the front of the stove. 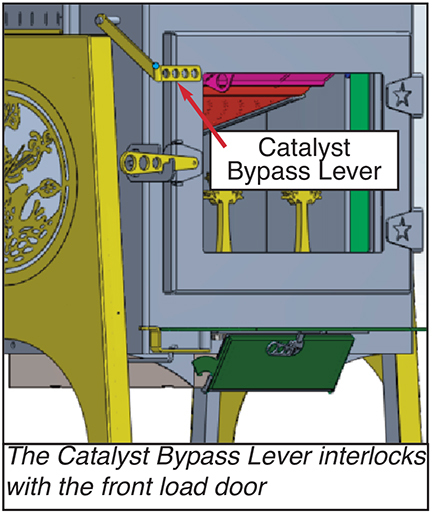 When the catalyst is bypassed, the sled slides back, out of the way. 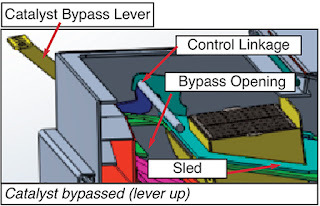 As soon as the bypass lever is lifted, the rear of the sled rides up on two ramps, and the front is elevated by the control linkage. 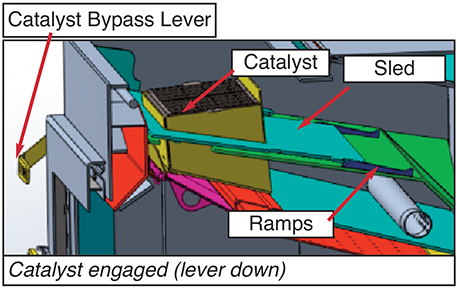 Elevating the sled when the catalyst is not fully engaged prevents abrasion on the sealing gasket (not shown). Wow! Who would have every thought of moving the cat (sliding) out of the way for a damper? 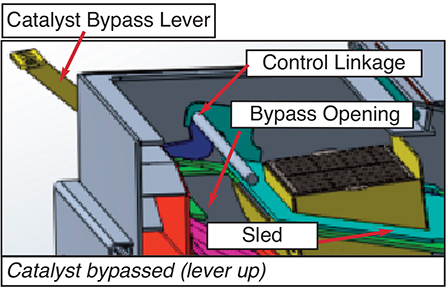 Very impressive engineering and design! Nice job again for Woodstock. All cat stoves should be made this way! Great forward thinking!